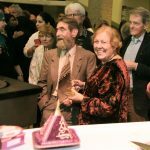 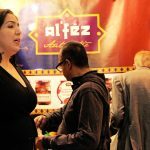 Al’Fez celebrated at Moroccan Soirée in The Netherlands. 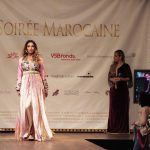 The exclusive event featured music, food, fashion and comedy, all based around Moroccan history and culture. 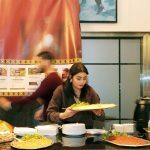 Siham el Forkhani, a celebrity chef known for reaching the finals of Masterchef, headed the evening’s chef station while Mounir Toub, a well-known TV Chef for 24Kitchen, was the presenter and host. 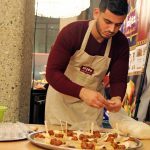 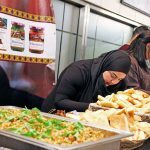 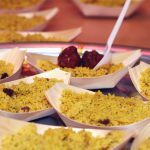 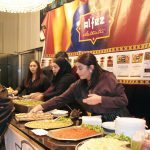 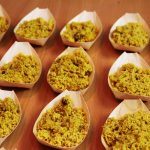 The evening, at a well-known theatre in Rotterdam, was sold-out with Siham and her culinary team showcasing the Moroccan range of Al’Fez in a beautiful array of delicious snacks. 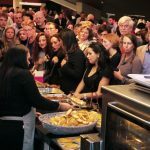 Demonstrations and cooking shows attracted a large crowd, including the Dutch Ambassador and other officials, and helped raise the profile and understanding of the Moroccan culture in The Netherlands.